M-Fil (Multi Filament) is a combination of three materials that are incorporated into the hitting zone of the racket head to enhance the touch and feel of the racket where and when you need it most - at the moment of ball contact. The 3D Braided structure at these key points enhances torsion stability at ball contact while frame deformation is similarly reduced. This helps to enhance dwell time on ball impact for improved touch and feel. 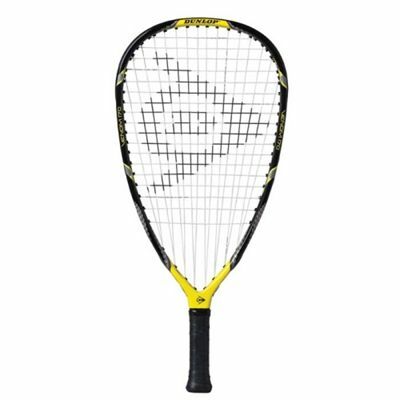 for submitting product review about Dunlop Venom 170 Racketball Racket.